Conversion tracking is the heart of web analytics. Even the most basic analysis is useless without it. Tracking goals to draw conclusions is why we have web analytics reports. Just looking through raw data and metrics without having any defined goals is pointless. But there is another way to configure a goal – manually. This allows you to insert a trackGoal() function wherever you want. Let’s say we are interested in tracking users who click on our Polish telephone number on the piwik.pro website. This means we want to collect information in our Visitor Log that specific user clicked on the number. We have to implement this goal manually because there is no other way to set this automatically. Of course, this is a link, but it leads to the URL callto:+442033182881 which means it is not a static page where we could put our tracking code. The next step is the configuration of the goal itself. Firstly, we have to set a recognizable Goal Name (1), then choose the manually (2) option from the dropdown menu under Goal is triggered. Finally, after configuring our new goal, we just have to click on Add Goal. We have our ID – in our case it is 24. So – we have configured our goal in Piwik (remember the ID) and now we have to help our website send Piwik the relevant information we hope to generate. 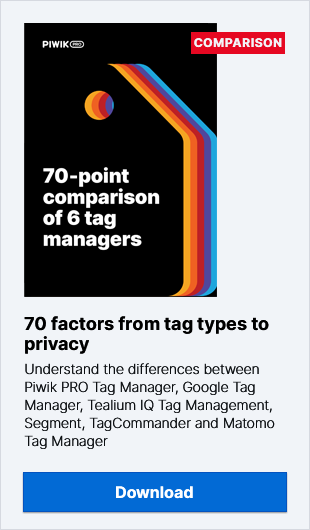 To do this, we can use Piwik PRO Tag Manager for a smooth, easy experience that doesn’t involve our IT department and a lot of messy coding. Here you can copy the code which we are using – notice that we’ve used our goal ID (24). It is important to use your goal’s ID in order to make it work. 4.1. Set a Trigger Name which will be easy to identify. 4.2. Choose Click as the form of loading the tag. 4.3. Choose Click Url to identify right link on the page. Set the value to: equals callto:+442033182881. Why? Because our website doesn’t have any ID or classes on this HTML element, we have to distinguish this particular link via its href value. 4.4. To be sure that we are talking about Contact page we add the next condition Page Url with the value of: contains contact. 5. Click Save for the trigger and again Save for the whole tag. The goal is duplicated because the phone number was clicked twice – which only confirms the success of our Piwik goal configuration.